Effective supervisors are the single greatest catalyst for inspiring employee success and achieving high team performance. It’s probably no secret that the #1 reason for low morale and high turnover is poor supervision. Luckily, the converse is also true. No one has more influence on creating a positive, loyal, collaborative team than the direct supervisor. While it’s reasonable to assume that most supervisors want their teams to succeed, clearly not all teams are as successful as others. Team morale and retention seem to be ever-present challenges. So, what’s the secret? What do top supervisors do to create winning teams? To gain insight, we surveyed hundreds of top supervisors, team leaders, and managers from leading organizations across the U.S. and Canada. Here’s what we found. The most effective supervisors consistently follow 5 simple strategies to inspire their teams and optimize performance. These 5 strategies are summarized below, including quotes from participating leaders. The best supervisors set a good example. This may sound simplistic, but it’s the most critical step in building a successful team. Inspirational leaders consistently demonstrate the type of commitment and performance they’re looking for in their team members. Top supervisors understand that trust is the outcome of consistency, integrity, and dependability, blended with a desire to succeed. Great leaders instill trust. They are quick to take initiative, follow through on promises, and set a high personal standard of excellence. Insight: Enthusiasm is contagious. The best way to ignite enthusiasm and build collaboration is to set a positive example. Inspirational leaders demonstrate a genuine interest in their team. The best supervisors take the time to get to know each person. They are sensitive to differing attitudes and temperaments. They’re fair. They don’t play favorites, and they treat all of their team members with respect. The most motivating action supervisors can take is to “catch people doing something right.” Top leaders recognize what each team member does well and provides opportunities for them to practice and excel in those areas. 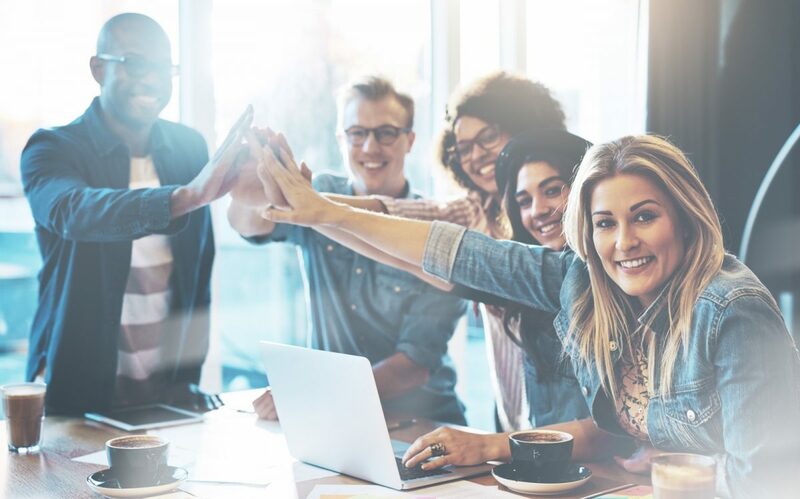 Insight: There is no single factor more important in building high morale and retention than a good relationship between team members and their immediate supervisor. Communication is the key to any successful relationship, and effective leaders are effective communicators. Top supervisors clearly outline expectations. They’re tactful in communicating sensitive and negative information. And perhaps more importantly—they’re great listeners. Effective leaders understand that communication is not what is said, but what is heard. Misunderstandings and poorly defined expectations are quick tickets to low morale and high turnover. Insight: To achieve optimal results, top leaders clearly communicate goals and expectations and consistently verify mutual understanding. Articulating goals and objectives is important, but the best leaders don’t stop there. Inspirational leaders create a culture of learning. They engage the team in shared goals and generate enthusiasm by coaching team members to achieve individual and shared success. Effective leadership includes both tactical and strategic coaching. Tactical coaching is immediate and focuses on knowledge, procedures, and data. Most often it centers on objective, measurable outcomes. Strategic coaching is more long term and focuses on development. Strategic coaching is aligned with a growth curve and progress occurs in stages or phases. Insight: Effective coaches fuel motivation by engaging their teams in goal setting, reinforcing personal accountability, and demonstrating a commitment to each member’s personal growth and success. Supervisors are performance managers. They continually observe and monitor performance to ensure that each member of the team is on track. If supervisors skip or take shortcuts on any of Steps 1 – 4, then Step 5 is likely to nosedive into negative attitudes and poor morale. Luckily, top leaders know how to turn performance management into a positive and motivating experience. They use three essentials to optimize employee performance: a) a clearly defined and agreed upon performance plan, b) ongoing coaching and feedback related to performance goals, and c) specific metrics to monitor progress and assess results. The combination of these essentials creates performance optimization. If any essential is lacking, optimal performance is unrealistic. So, effective supervisors ensure that team members obtain and quickly learn the necessary knowledge; they deliver information clearly, at the right time, and in the appropriate manner; and they continually observe and monitor performance to ensure goals are being met. Insight: When supervisors are successful in Steps 1 – 4, their teams shine in Step 5. Championship teams always have a capable and inspirational leader. Identifying and nurturing that leader is always the first step. Our research and value proposition is to provide our clients with the means to successfully identify and nurture effective leaders who will inspire, motivate, coach, and lead their teams to peak performance. For a free consultation about team performance and leadership development, contact me today!